Here are some of my favorite photos from the Korea Wine Train. If you are living in Korea or are taking a trip this is an excellent all day adventure to experience Korean culture. Remember, the trip is not for the wine but for the trip! 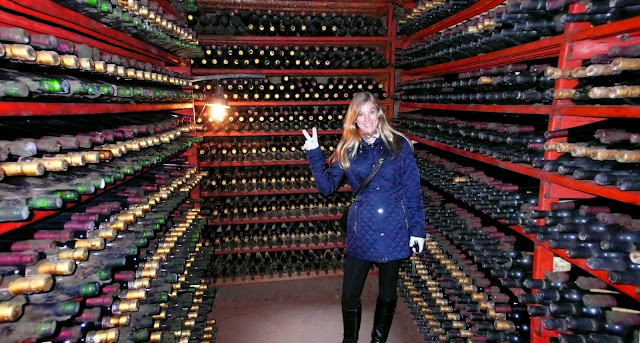 See my previous article titled Take the Wine Train in Korea for the journey, not the wine to learn more about this tour. A strange assortment of East meets West will be served on the ride back to Seoul. Some adjumas giving a group massage while soaking their feet in the wine bath. Catch a glimpse of the famous 63 building in Seoul on the train ride over the Han River. Paul and I enjoyed our early morning arrival on the train by taking photos of the uniquely designed cars. Everyone received a drum lesson at the at the Nangye Educational Center for Korean Classical Music Instruments. An unique tunnel takes you into a wine cellar. Me inside of the wine cellar. Towards the end of the day you will leave Wine Korea to catch your train home. Our wine train car was partying on the ride back to Seoul. Beautiful Korean artwork as seen on a drum outside of the music center.